LA-Marijuana has been approved by California, many other states and the nation’s capital to treat a range of illnesses, but in a decision announced Friday the federal government ruled that it has no accepted medical use and should remain classified as a dangerous drug like heroin. Advocates for the medical use of the drug criticized the ruling but were elated that the Obama administration had finally acted, which allows them to appeal to the federal courts, where they believe they can get a fairer hearing. The decision to deny the request was made by the U.S. Drug Enforcement Administration and comes less than two months after advocates asked the U.S. Court of Appeals to force the administration to respond to their petition. This is the third time that petitions to reclassify marijuana have been spurned. The first was filed in 1972 and denied 17 years later. The second was filed in 1995 and denied in 2001. Both decisions were appealed, but the courts sided with the federal government. OC Weekly: Medical Marijuana Clubs Getting Schooled? To understand the insanity at the heart of California’s love-hate relationship with medical marijuana, one need look no further than a low-end strip mall on Raymond Way just off El Toro Boulevard near Interstate 5 in Lake Forest. It’s a somewhat decrepit-looking series of stores that stretches around the parking lot, one corner of which is occupied by a Montessori school. 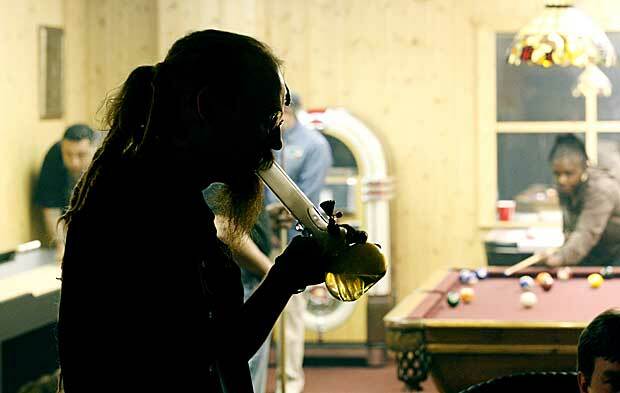 It’s easy to miss that five of the storefronts belong to marijuana clubs. Although marijuana is illegal under federal law, it’s legal for medical purposes in California, and Lake Forest, which is one of only two Orange County cities (the other is Dana Point) that don’t require business licenses, has no ban against cannabis clubs on the books. Such apparent laxity may explain the huge influx of them over the past few years, which has left city officials scrambling to sue them out of existence, alleging they violate Lake Forest’s municipal code, leading to a legal standoff that is likely to last years. In May 2010, Orange County Superior Court Judge David Chaffee ruled in favor of Lake Forest and ordered the clubs to shut down. Several of them voluntarily closed, but others appealed the decision and were allowed to reopen. Then, on Jan. 1, a new state law took effect banning pot clubs from operating within 600 feet of a school. On April 26, citing the fact that the five dispensaries that continued to operate at the Raymond Way location were next door to the Montessori school, Chaffee issued a temporary restraining order against them; the clubs shut down once again. But on May 9, Chaffee lifted the temporary order against those clubs until he could sort out all the competing legal claims being made by lawyers for both the city and the clubs. The dispensaries immediately opened for business. The hearing is scheduled to resume on Friday. Indeed, in the May 9 hearing, Chaffee wondered aloud why Lake Forest had neither a ban on medical marijuana nor a requirement that dispensaries obtain a business license. Dunn responded by claiming that the fact the city had no such ban or licensing procedure was irrelevant because the clubs were “not a permitted use, so we don’t have a license requirement for businesses that aren’t allowed.” He added that this, combined with the new state law creating the 600-feet-from-a-school buffer zone, meant the clubs were illegal. Then there’s the question of whether the Montessori school, which opened in 1994, is really a school as defined in the new state law, which includes both public and private schools that teach kindergarten through high school, but not pre-kindergarten or daycare centers. Montessori Children’s School House didn’t return a telephone call seeking comment for this story. Dino Retuchi, manager of the Cafe Vale Tudo, located adjacent to the school, said it was unfair for the city to go after the cannabis clubs in court. “I don’t understand why they target us all the time,” Retuchi says. “We’re willing to work with the city and the police to follow their guidelines.” Retuchi acknowledged that his club was raided in March 2010, along with the since-shuttered 215 Agenda, whose owner, Mark Moen, was the subject of a subsequent Weekly cover story (see “Marijuana Martyr,” April 29, 2010). But he claimed the raid only targeted one employee of the club who also worked at 215 Agenda, which was the true target of the raid. Meanwhile, several disabled Orange County residents who were members of the shuttered clubs also sued Lake Forest, charging that the city was violating their rights under the Americans With Disabilities Act. (The lawsuit also named the city of Costa Mesa as a defendant.) U.S. District Judge Andrew Guilford threw out the suit in April 2010, citing the fact that the plaintiffs used marijuana, which “has no medical purpose.” The lawsuit is currently being considered by the 9th District Court of Appeals. This article appeared in print as “Pot Clubs Getting Schooled? The Montessori center next door is part of Lake Forest’s latest effort to boot medical marijuana dispensaries. 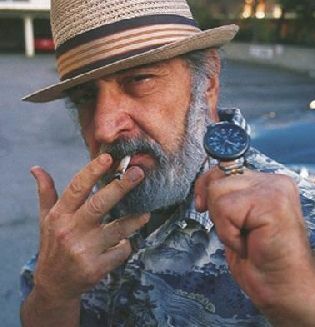 Today is the one year anniversary of the death of legendary cannabis activist, Jack Herer. Here’s some information about him so you can get acquainted. Also, he has his own Jack Herer strain that you might be familiar with (we think it’s awesome!). Alright, well here you go, from wikipedia (http://en.wikipedia.org/wiki/Jack_Herer). “Jack Herer (June 18, 1939 – April 15, 2010) was an American cannabis activist and the author of The Emperor Wears No Clothes, a book which has been used in efforts to decriminalize cannabis. A former Goldwater Republican, Herer was a pro-cannabis (marijuana) and hemp activist. He wrote two books, the aforementioned The Emperor Wears No Clothes and Grass. There has also been a documentary made about his life called, The Emperor of Hemp. He believed that the cannabis plant should be decriminalized because it has been shown to be a renewable source of fuel, food, and medicine that can be grown in virtually any part of the world. He further asserts that the U.S. government deliberately hides the proof of this. A specific strain of cannabis has been named after Jack Herer in honor of his work. 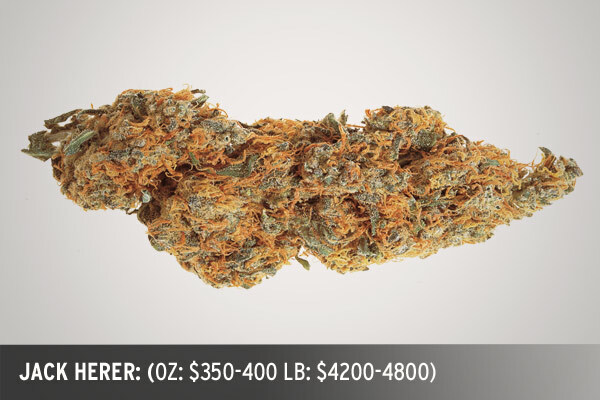 This strain has won several awards, including the 7th High Times Cannabis Cup. Jack Herer was also inducted into the Counterculture Hall of Fame at the 16th Cannabis Cup in recognition of his first book. Herer ran for United States President twice, in 1988 (1,949 votes) and 1992 (3,875 votes) as the Grassroots Party candidate. In July 2000, Herer suffered a minor heart attack and a major stroke, resulting in difficulties speaking and moving the right side of his body. Herer mostly recovered, and claimed in May 2004 that treatment with the amanita muscaria, a psychoactive mushroom was the “secret”. On September 12, 2009 Herer suffered another heart attack while backstage at the Hempstalk Festival in Portland, Oregon. He spent nearly a month in critical condition in a Portland hospital, including several days in a medically induced coma. He was discharged to another facility on October 13, 2009. Paul Stanford of The Hemp and Cannabis Foundation said “He is waking up and gazing appropriately when someone is talking… but he is not really communicating in any way.” He died aged 70 on April 15, 2010 in Eugene, Oregon, from complications related to the September 2009 heart attack. Herer was buried at the Eden Memorial Park Cemetery in Mission Hills, California. – Herer claimed that hemp produces higher yields than other crops. Van der Werf argue that is simply wrong. Under most favorable growing conditions, other crops such as maize, sugar beet or potato produced similar dry matter yields. Fiber hemp is in no way exceptional.